Paolo CARICATO is the deputy head of the food hygiene unit within the Health and Food Safety Directorate General (SANTE) of the European Commission. This unit determines and formulates policies in regards to the safety of the food chain (food hygiene, zoonoses, TSE, official controls, compliance with food law). Paolo graduated in Veterinary Medicine and before starting to work as a European Commission official in 1999, he worked at the Italian Ministry of Health as the Director of the Border Inspection Post of Venice. 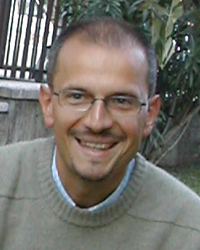 Paolo is responsible for the dossier fishery products hygiene.